Painting with an encaustic pen is a quiet meditation on process & discovery. It favors patience & deliberateness. The most appealing aspect of this is the slow build-up of wax, stroke by stroke, layer upon layer, adding colors bit by bit and carefully mixing them directly on the panel. This method lends itself especially well to working on a small surface. For example, the encaustic painters of Greece, who developed this process, seldom made pictures larger than the average head. The workshop is from 9 am to 4 pm in the Larson Gallery with a lunch break. Class size limited to 15. Materials list provided on registration. The Summer Fun Workshops Series is packed full of non-stop creativity! Each weekend in July the gallery is excited about bringing you new mediums to express the artist within. Whether you’re a beginner eager to learn something new or a seasoned aficionado these workshops are sure to bring new experiences and ideas to the table. With instructors like YVC art teacher, Meghan Flynn, and former Larson Gallery Director, Carol Hassen, you’re bound to walk away with a treasure trove of information and inspiration. Register online at larsongallery.org. Hurry seating is limited! Yakima Maker Space Gallery is happy to present Local photographer Andrew Adams. 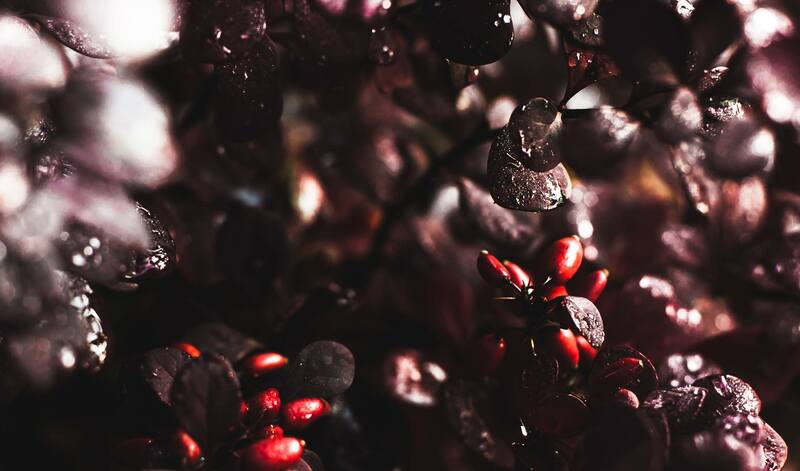 Andrew began in photography as a teen working with film, later transitioning to digital. He creates a variety of works with a pseudo-minimalist approach shaping light with materials found in the environment. With these carefully crafted works he attempts to bridge his original vision with the final image through the creative process. Please join us July 14th for the Artist Reception; doors open at 6:00 p.m. Artist talk at 7 p.m. shut by 9 p.m. Libations and eats with be available. 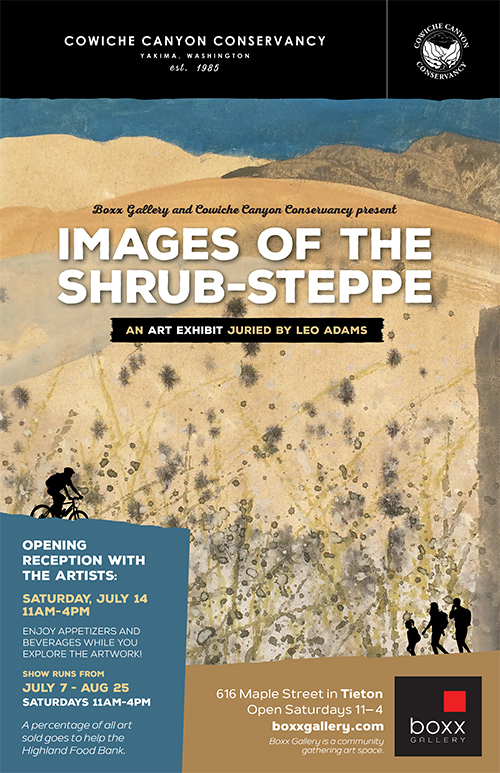 Images of the Srub-Steppe, juried by Leo Adams, features 66 works of art including paintings, sculpture, fiber art, photography, jewelry and more. 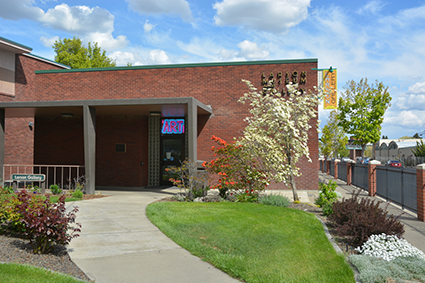 The exhibit is open during the Boxx Gallery's regular hours of operation, Saturdays, 11 am - 4 pm. The exhibit will also be open Wednesday, August 15 from 10:30 am - 12 pm for a Creative Coffee, which will include a talk by Hillary Goodner, Geology Instructor at YVC, about the Shrub-Steppe and unique geology of the area. The proceeds from the sale of Images of the Shrub-Steppe art will benefit the artist and the Highland Food Bank.